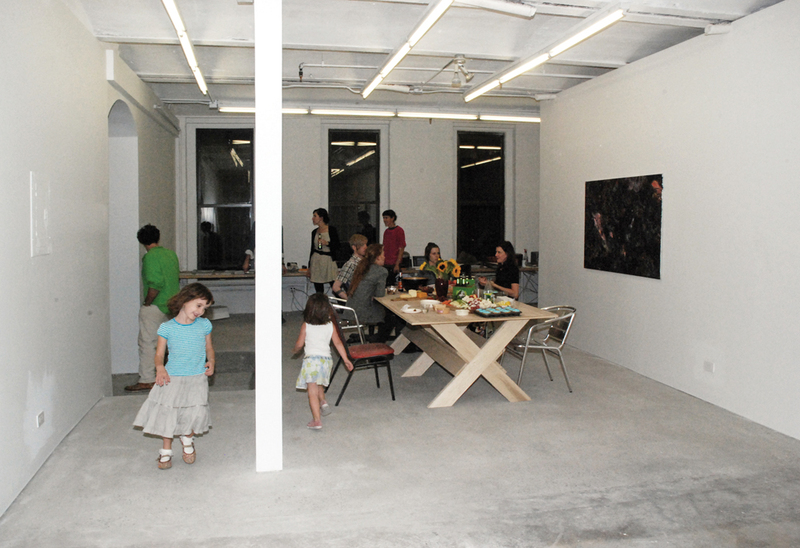 an art gallery on the lower east side. 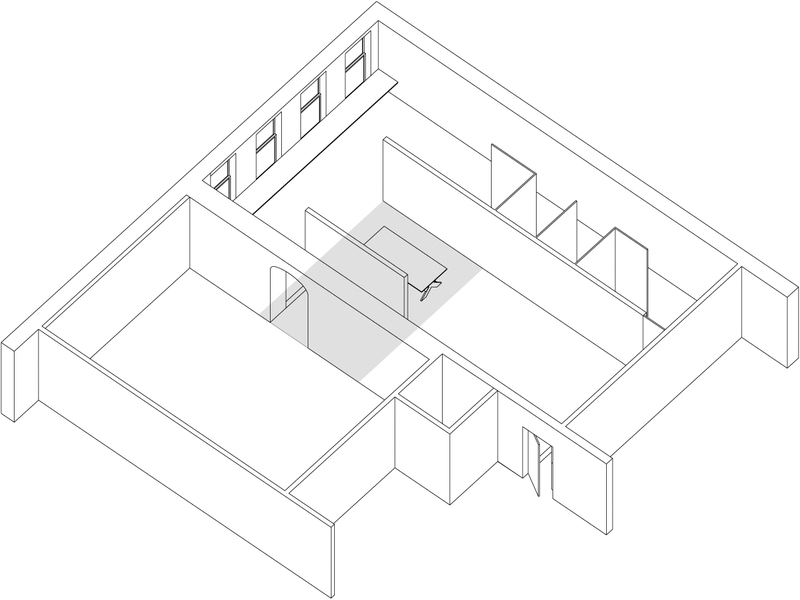 1 – axonometric of gallery. 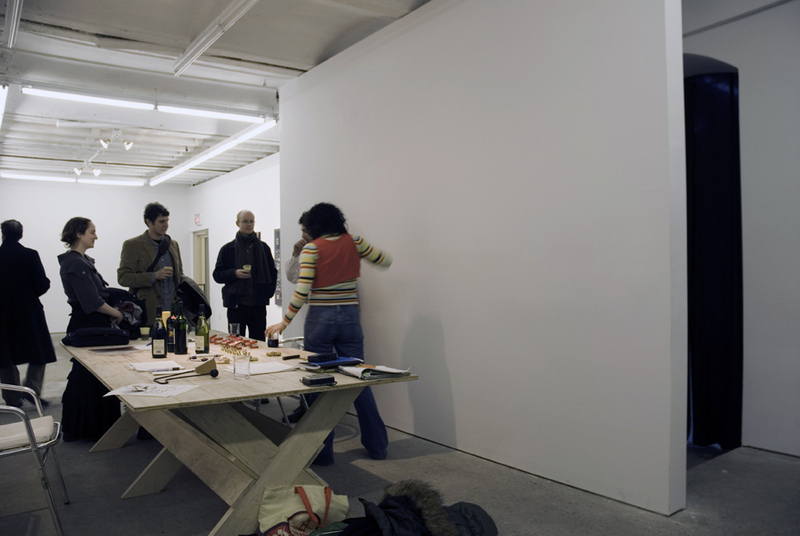 basic spatial relationships offer the opportunity for administration of the gallery, exhibitions and meetings to overlap and occur simultaneously. 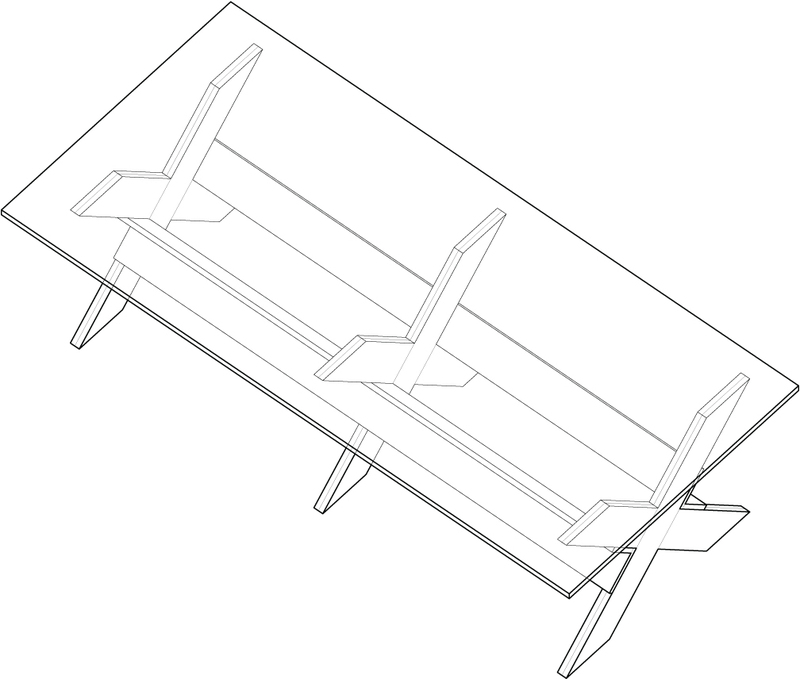 2 – axonometric of work table. there is a general misunderstanding about what it means to share architectural space. 3 – shared solutions usually work better than overly articulated organizational strategies. 4 – the closeness of communities generated by a project is something to be enjoyed and eventually overcome as they become appropriated by a larger public. 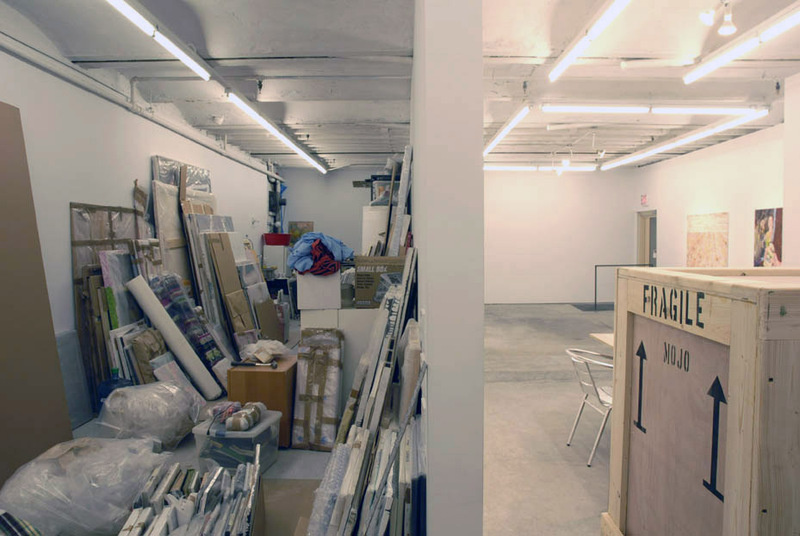 5 – art storage extends to exhibition area. 6 – there is a general misunderstanding about what it means to share architectural space. sharing space does not mean sacrificing identity or personal space. with this project we had the opportunity to expand the relationship between art and architecture into a discussion about cultural production and space. the gallerists’ ambivalence towards the structures of a commercial gallery (the gallery as a white box) was one of the main criteria of the design process. as such the operation of a gallery was reconsidered; what happens when the operations of an art gallery are exposed to the public; when the space of display bleeds into the space of work, where the display of operations becomes as important as the display of art.